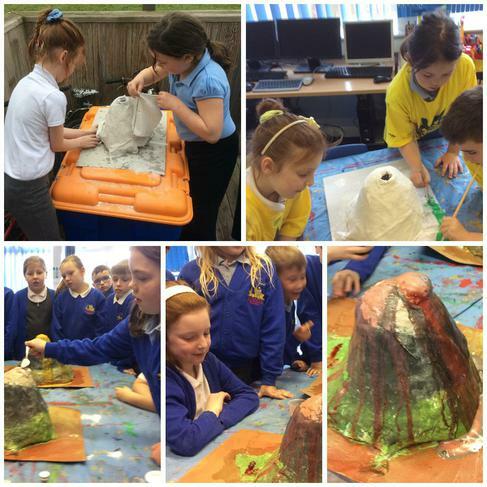 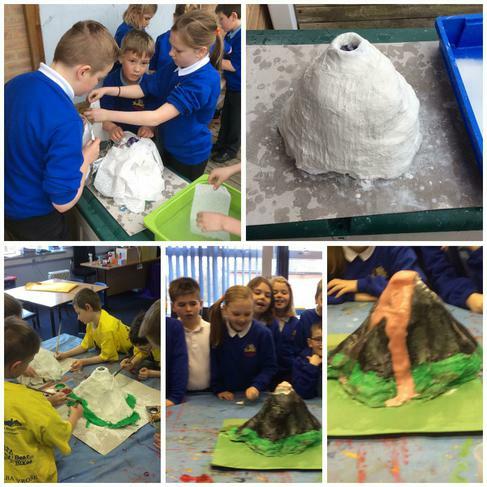 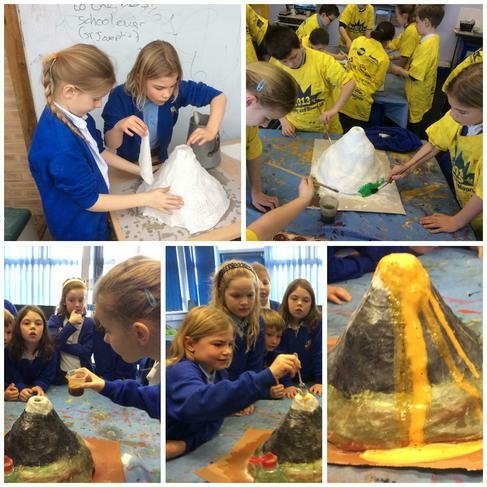 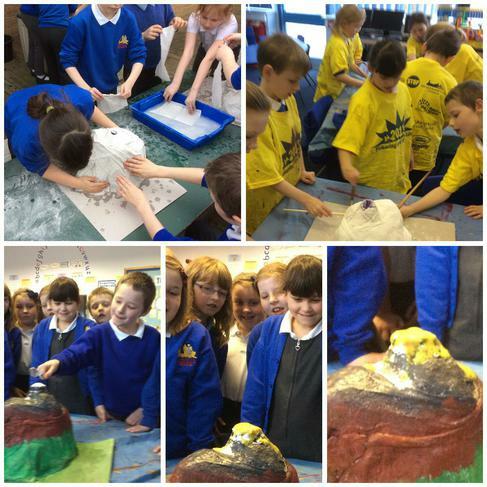 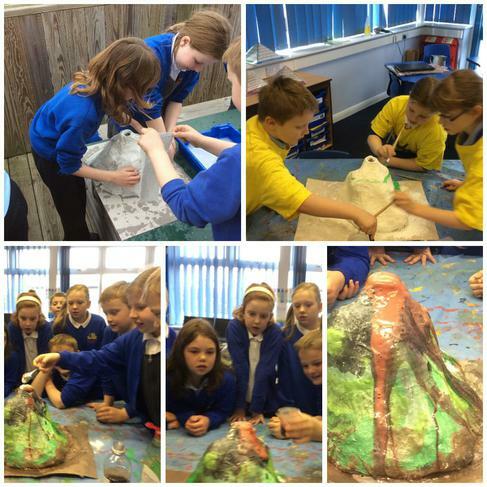 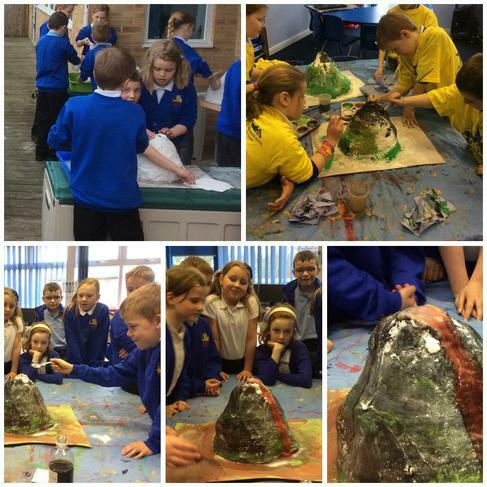 In class 3 we have been looking at volcanoes and learning all about the different parts of a volcano, where we can find them in the world and then the most exciting part we had a go at making our own! 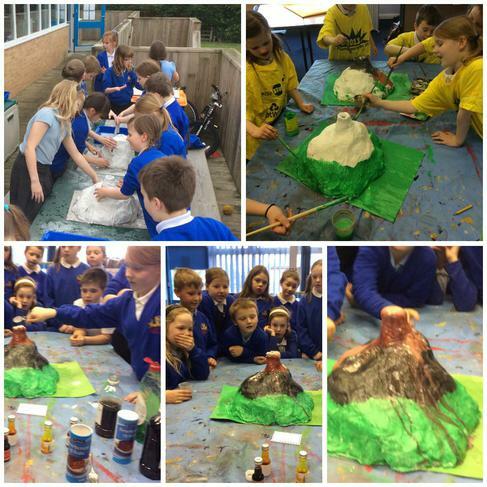 Each group created a volcano in art and painted it before moving onto our science experiment. 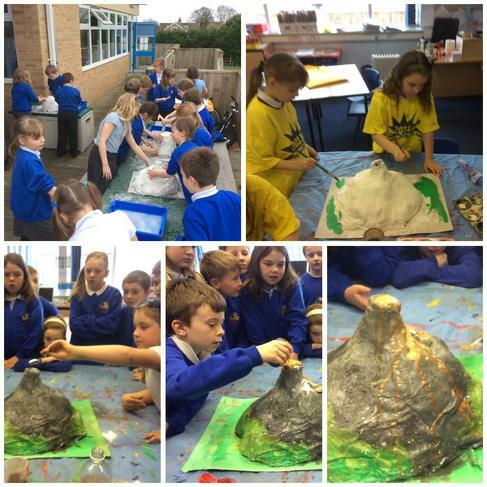 During science each group took turns to create a mini eruption from their volcano crater using washing up liquid, food colouring, bicarbonate of soda and vinegar.